Someone can be as wide as the recent and unfortunate spread of male skinny jeans across America, but if that person doesn’t have that Serena Williams caliber thickness to match, they’ll never have a truly awe-inspiring and memorable physique. I’m talking directly to you now, so pay attention. You want an awe-inspiring physique, right? You want your body to be memorable, don’t you? I know your answers are along the lines of ‘damn right’ and ‘hell ya!’ Of course you don’t just want the milk! You want the cookies too! The pec shelf, as shown off by Mr. Schwarznegger, grows as the upper portion of the pec muscles grow. This growth causes the pecs to ‘pop’ off the upper body, creating a shelf. 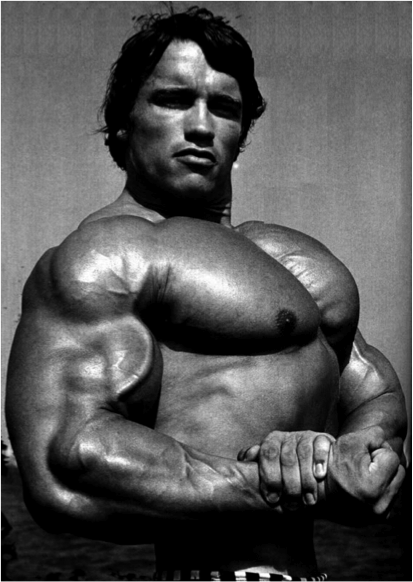 It’s rumored that Arnold placed bodybuilding trophies, family herilooms, and even groupies on his pec shelf! The Incline Dumbbell Press is an exercise, which really allows the trainee to feel the upper chest/pec region lifting, flexing, and stretching as they work hard through every rep of every set. 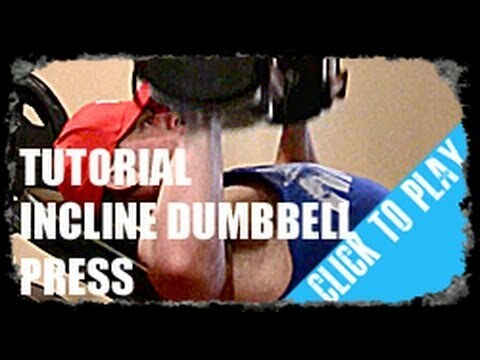 To execute the Incline Dumbbell Press, you’ll need only two pieces of equipment; an incline bench and a set of dumbbells. 1. Make sure to work through a full range of motion. I personally like to either touch the dumbbells to my outer upper pecs or get very close to touching at the bottom of each rep. By actually touching the dumbbells to my upper outer pecs, I ensure that I’m completing my reps with the fullest range of motion possible. I have a definite depth gauge, which is the feeling of the dumbbells touching down at the bottom of each rep.
2. Focus on getting as much pec stretch at the bottom of each rep as possible. Once the stretch is achieved, concentrate on flexing against that exact stretch to power up the dumbbells and complete the rep. By achieving a stretch, you are going to feel the muscles that are directly working, and you’ll have the ability to really concentrate on those same muscles as you activate them to complete each rep. In this case, focus hard on the upper pecs at all times. 4. A controlled lowering of the dumbbells through the proper path will ensure well-executed lifting of the dumbbells following that same correct path. Don’t get sloppy with any portion of the lift, as it will affect the set as a whole. Stay focused! I recommend using the Incline Dumbbell Bench Press as a first or second supplement exercise during your GST Press training. Dumbbells are great training tools, and the Incline Dumbbell Press is just one exercise you can use to incorporate them into your GST program. I promise you, you’ll build your upper pec shelf, fill out your favorite shirt, and obtain that ‘front to back’ thickness that you’re looking for by implementing the Incline Dumbbell Incline Press into your routine. Now that I’ve helped you learn how to build up your upper chest, what’s next? If you’d like me to design a complete and free individualized GST program for you, click the Buy Now button below to get our conversation started! This entry was posted on Monday, September 26th, 2011 at 9:36 pm	and is filed under Uncategorized. You can follow any responses to this entry through the RSS 2.0 feed. You can leave a response, or trackback from your own site.